We offer a space for local musicians to perform at our Open Mic Nights on Friday from 7:30pm to 10pm. We have many great acts that have been coming regularly and new people are always welcomed. 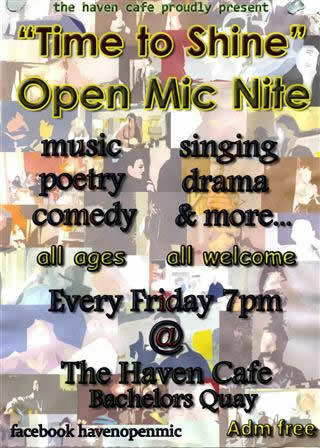 TheHaven Café is always opened for these evenings so come with friends, grab a coffee, and enjoy the craic.